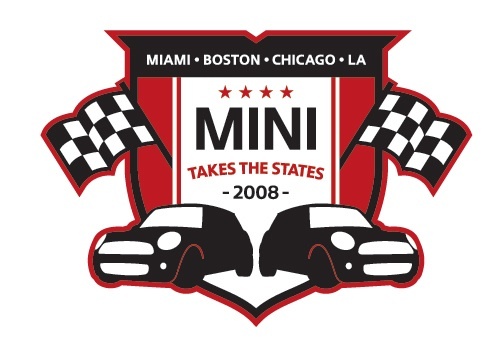 Gina Koutros from MINIUSA took time away from getting ready for the New York Auto Show to give us some more detail on MINI Takes the States 2008! We find out the reasoning behind selection Miami, Boston, Chicago and LA for this years event. Plus a sneak peak into the reasoning behind separate weekends. For those of you that missed it, there was a poll conducted late last year as to what type of event owners would like to see, and the four regional events won hands down! Again, those dates for those of you that haven’t put it into your calendars yet. Everyone is invited, even if they don’t own a MINI! Of course, there will be something special going on for owners only as well. Registration should be open around the 2nd week of April. Don’t worry, we’ll be sure to let you know when as soon as we know! Keep an eye (and ear) out here and Motoringfile for all the news and updates about MINI Takes the States 2008. No need to look anywhere else! Great to get a little insight. Do have to chuckle though with the comment that they are hitting area’s they haven’t before when it comes to LA. Think it will be a decent sight and does have a massive population of Mini’s. However as a Pacific NW person not looking forward to a 10+ hour drive to the closest event. I actually was one that did vote for the 4 regional events. What I still would have loved to see is a little bit different. 4 regional events on a weekend, followed by a road trip over the week to a central event on the second weekend. This would capture people not wanting to leave their regions, those that want the drive and those wanting one huge party. It would also hit the greatest number of Mini owners. Any chance you guys have a larger version of that MTTS logo? Ditto. Time to update my mac background. No on the logo. Sorry. Have not talked to you since before MTTS 2006. Great to hear the MINIUSA insight. Tell Holly Babich hi, and the rest of the gang who i talked to in 2006. I think last time I talked someone was having a baby. Of course, who knows what fuel prices will be by then. Haven’t checked in with you guys in a while, timing may just be perfect. I traded you some pics Todd for a WRR Poster in Zandvoort. Got it hanging proudly in my hallway. So is it possible to make it from Chicago to LA without stopping to see all of the roadside oddities in 4 days. I know it’s still early but is there a hotel, motel list around yet for Chicago. Or do we know the Host Hotel for the event for that city. >So is it possible to make it from Chicago to LA without stopping to see all of the roadside oddities in 4 days. The drive according the J/C (who does it all the time) can be done in 3. As for host hotels, we haven’t gotten those details yet. Don’t worry, as soon as we do we’ll be passing them along!